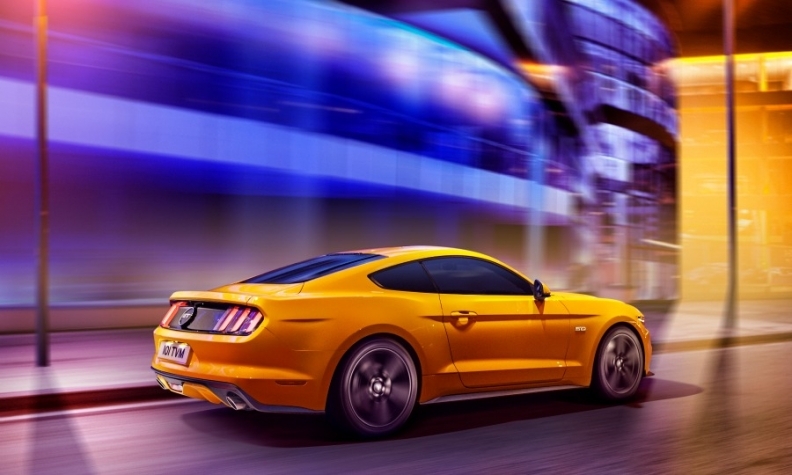 Ford expects the new Mustang to help it maintain its position as Europe's No. 2-selling brand. Renault and Opel/Vauxhall will step up their efforts this year to replace Ford as Europe's No. 2 brand by vehicle sales. Ford fought off both rivals last year and industry watchers expect the automaker to finish 2015 in second place again. Renault, however, will replace Opel in the No. 3 spot, analysts at IHS Automotive predict. Renault CEO Carlos Ghosn said last month that he expects growth in Europe next year as governments introduce incentives to underpin the region’s economy. Arndt Ellinghorst, a London-based analyst at Evercore ISI, said Renault is launching more new high-volume cars than any other major mass-market European automaker, and the average age of the French brand’s fleet will decline to 35 months in 2015 and 2016 from 39 months in 2014. Renault’s 2014 European vehicle sales increased 9 percent, the biggest gain among brands in the top 5, according to industry group ACEA. Ford’s volume rose 5 percent while Opel’s sales were up 7 percent. VW brand remained No. 1 with 4 percent growth. While VW brand’s has a relatively small product renewal cycle this year with the arrival of the new Touran minivan and Tiguan SUV, Ford, Renault and Opel all have major product pushes. 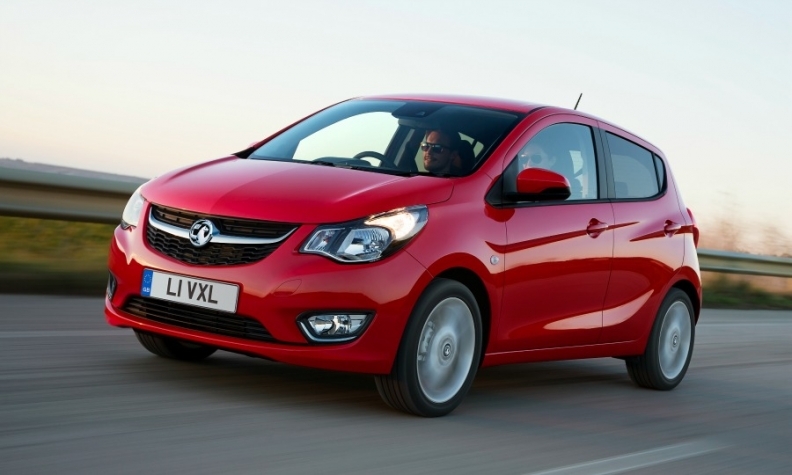 The Opel Karl/Vauxhall Viva arrives in May. Opel CEO Karl-Thomas Neumann said the brand will continue with the biggest product offensive in its history this year. “Our clear goal is to return to profitability in 2016. To reach this target, we need to further strengthen our brand and to launch the right products,” he told Automotive News Europe on the sidelines of the Detroit auto show last month. Opel launched a new generation of its European best-seller, the Corsa subcompact, in January and will introduce the Karl entry-level minicar in May to replace the Agila. In the UK, where the Karl will be badged as the Vauxhall Viva, the company expects to sell about 20,000 units of the minicar a year, twice as many as the Agila, a source said. Opel’s product push will continue with the launch of the new-generation Meriva small minivan in 2017 and the Zafira compact minivan’s successor a year later. Both minivans will be based on PSA/Peugeot-Citroen platforms and will get crossover styling that Opel expects to make them more popular. The latest Astra, the brand’s No. 2 seller in Europe, arrives at the end of this year. “The new Corsa and Astra will be the key deciding factors. Combined they make about half of our sales,” Neumann said. Opel likely will lose the No. 3 spot to Renault this year because the German brand will not see the benefit of Astra sales until 2016, IHS Automotive analyst Ian Fletcher said. Renault’s vehicle sales have been greatly helped by the success of its Captur subcompact SUV, which has quickly become the brand’s No. 2 seller in Europe after the Clio subcompact. The brand will get a further boost when it joins the booming compact crossover segment in June with the new Kadjar based on the popular Nissan Qashqai. Renault also will launch its fifth-generation Espace large minivan in the spring. Renault’s product momentum will continue next year with the launch of its latest Megane. Currently the Megane is the brand’s third-biggest seller in Europe and a successful replacement would lift sales significantly. A new version of the slow-selling Laguna midsize sedan will arrive in 2016. The Laguna is expected to grow in size and also replace the Latitude sedan, a company source said. Most likely, the Laguna name will be dropped. Renault’s chairman for Europe, Stefan Mueller, told Automotive News Europe at last year’s Geneva auto show that the company wants to become Europe’s No. 2-selling brand by 2017. Opel has a longer-range goal to reach the No. 2 spot. Neumann said at last year’s Geneva show that he aims to achieve the target by 2022. This year, Ford is pushing upscale in Europe with the launches of its Vignale high-end trim line and the Mustang halo sports car. Jim Farley, who took over as head of Ford’s European operations on January 1, said the brand outperformed the market last year and he expects to build on the momentum. Ford’s debuts this year reflect a “more emotional and upmarket vision” for the automaker in Europe, Farley said in a statement last month. Ford is currently rolling out its new Mondeo midsize model across Europe. The company says the latest Mondeo is the “most technologically advanced car Ford has ever launched in Europe.” The automaker expects to double annual European sales of the Mondeo to between 90,000 and 100,000. The Mondeo will be the first Ford to offer the Vignale trim line and the brand’s first gasoline-electric hybrid in Europe. Also arriving in showrooms this year are the Galaxy and S-Max large minivans and Edge large SUV. The C-Max and Grand C-Max have just had face-lifts. Evercore ISI’s Ellinghorst said Ford will gain from renewing a large chunk of its compact and midsize ranges, along with the launches of higher-margin cars such as the Edge, which will top its European SUV range when it arrives late this year. The main headwinds facing Ford, Opel and Renault are the continued incursion into their markets by premium brands, as well as the likely flatness of the UK car market this year. Ford and Opel sister brand Vauxhall count the UK as their largest European market with shares of 13 percent and 11 percent, respectively, against 7 percent apiece across Europe. New-car sales in the UK likely will be 2.49 million this year, only slightly up on last year, the SMMT industry body predicts.